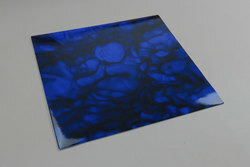 Ben Frost - The Centre Cannot Hold. Vinyl LP, CD. Bleep. 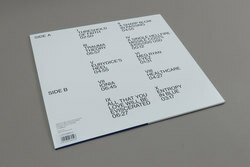 Ben Frost claws together a map to explore the icy caves of his fifth studio album The Centre Cannot Hold. Recorded over ten days by Steve Albini in Chicago it signals the start of a heavy new chapter within the Ben Frost sound, one that stretches deeper into the densely driven narratives, scorching electronica and post-rock paradigms that were a staple of his previous album A U R O R A. 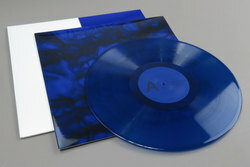 In his own words, Ben Frost uses the ten tracks here to act "An exercise in limitation and chromatic saturation, The Centre Cannot Hold is an attempt at transcribing a spectrum of glowing ultramarine into sound" the result is indeed an all-out deadly assault of sickly atmospheres and gothic leaning sonics. 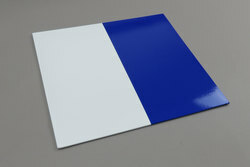 While Ben Frost's music has always offered a grander display of 80's heavy Main going orchestral electronics, on The Centre Cannot Hold he takes it further into the realms of the recent decades wave of 12" scouring noise and drone that characterizes the work of artists such as Kerridge, Shapednoise and AnD. Yet in Ben's hands, it's pulled off with a melodic twist of the knife that carries an aching sadness at its core. Cold and undeniably powerful sounds that mimic his recent OST commissions for The Wasp Factory, Music From Fortitude and the recently released Super Dark Times soundtrack.